Tour Dates - Pure Heart Band, the ultimate Heart Reverence Band featuring the Music of Heart! July 12 (Fri) Pompano Under The Stars ... 7pm-9 on the grand lawn, corner of Atlantic Blvd and Pompano Beach Blvd, by the beach. April 28 - Sat / Pompano Beach Seafood Festival / 8:30-10 south stage / Pure Heart donating ALL THEIR BAND PAY to support MSD! Oct 12 - (Friday) Pompano Under The Stars! At the great lawn, corner of Atlantic Blvd and Pompano Beach Blvd. ( near beach) 7pm-9 / will be re-scheduled... postponed due to rain. Oct 28 (Sunday) - at 3:45 ... Civic Center Pl, Port St Lucie, FL - 3 day band competition... Pure Heart won - First place! Nov 18 - Township Center for the Performing Arts, Coconut Creek, FL. Pure Heart has performed at Parkland Ampitheater, in Tampa at Whiskey Joes, in Jupiter at Harbourside Place, in Fort Myers, in Fort Peirce, in Fort Lauderdale, at the Township Center for the Performing Arts, in Boca Raton Florida at The Black Box Theater, Nobe Block Party, Pompano Seafood Fest, at the Loft at Pirates Cove Resort in Stuart, more festivals and private events! 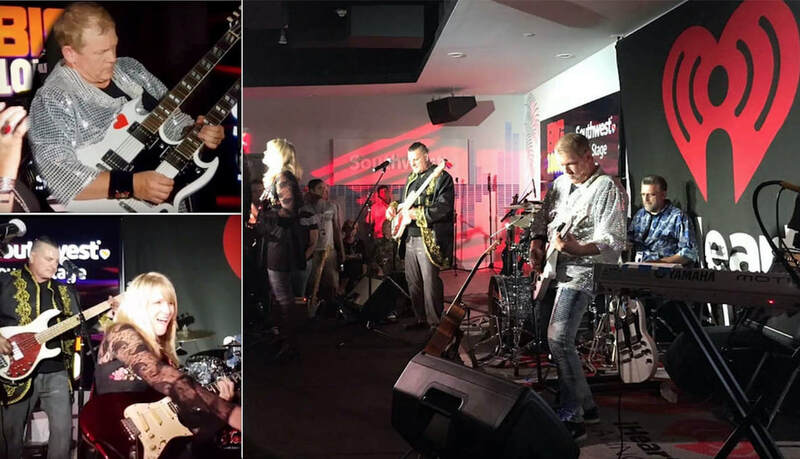 Pure Heart band played at the IHeart Radio studio stage, it was an epic party! Big thanks to iHeart Radio BIG 105.9! Pure Heart at Nobe block party Fort Lauderdale FL.